A Native of the small town of Gastonia North Carolina, T. Oliver has been performing since he could walk and talk. The youngest of 4 children…he began singing in the choir of St. Stephen’s AME Zion church, as part of a very musical family. By the age of nine he had terrorized his family enough by singing the entire cast recording of “Annie” every afternoon and soon found himself on the stage of The Little Theater of Gastonia in the musical, “Shenandoah”, thanks to Debbie Rhyne and George Gray, beginning a loving and nurturing relationship with performing that has lasted 30 years and is still going strong. T. Oliver performed throughout his childhood and adolescence, with the guidance of George Gray, Andrew Millard, Mark Hyde, Rebecca Rhyne, Debbie Rhyne and Trip McGill. Two days after graduating with a Bachelor’s degree in Music, he began work on the 2nd National tour of “Once On This Island”. T. Oliver subsequently performed in the 2nd national tour of “Guys & Dolls” and in other regional theaters before making his way to New York City and Broadway. His Broadway credits include, “Chicago”, “Kiss Me Kate”, “Follies”, “Thoroughly Modern Milllie”, “Never Gonna Dance”, “La Cage Aux Folles”, “The Wedding Singer”, “Mary Poppins”, “Damn Yankees” and the 25thAnniversary concert of “Dreamgirls”. T. Oliver has been lucky enough to work with some of the Great White Way’s brightest and best performers including… Chita Rivera, Bryan Stokes Mitchell, Jane Krakowski, Karen Ziemba, Blythe Danner, Judith Ivey, Marin Mazzie, Sutton Foster, and Robert Goulet. The list of Directors, Choreographers and Musical Directors he has had the great fortune to work with include the likes of Michael Blakemore, Kathleen Marshall, Rob Marshall, Rob Ashford, Casey Nicolaw, Matthew Warchus, Jerry Zaks, Ann Reinking, Jerry Mitchell and Sir Richard Eyre. 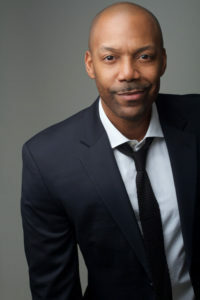 T. Oliver Reid is the winner of the Metropolitan Room’s “2010 Metrostar Challenge” and was also a featured artist in The 21st New York Cabaret Convention.